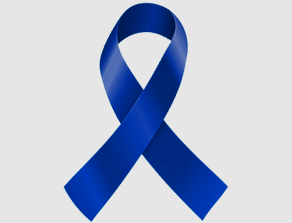 Colorectal cancer is the third most common cancer diagnosed in both men and women in the U.S. Although the death rate from colorectal cancer has been dropping for the past 30 years, it is still the second leading cause of cancer death in the U.S. There are currently more than one million colorectal cancer survivors in the U.S.
With regular screenings, colorectal cancer can be preventable. Several factors may place you at a higher risk for colorectal cancer, including age, personal history of polyps or cancer, inflammatory bowel disorders, family history, genetics and lifestyle choices, such as low physical activity, obesity, smoking, heavy alcohol use and diets high in red and processed meats. In addition to specific projects listed below, genomics research is helping us attack colorectal cancer – and all types of cancer. NFCR has distinguished itself from other organizations by emphasizing long-term, transformative research and working to move people toward cancer genomics. NFCR-funded scientist, Dr. Wei Zhang has vast experience identifying biomarkers and genes in colorectal cancer. His current research team is studying how genetic expression, amplification and mutations relate to and regulate each other. Using data from next-generation sequencing, Dr. Zhang’s team is identifying growth-promoting genes of a patient’s cancer. Dr. Zhang has previously identified microRNAs (miRNAs) as biomarkers to improve colorectal cancer prognosis and predict treatment response. He used blood samples from healthy donors and patients with stage I through IV colorectal cancer, and confirmed that one microRNA molecule – miR-141 – may predict the outcome for stage IV colorectal cancer patients. For approximately 20 years, with NFCR support, Dr. Yung-Chi Cheng has explored the therapeutic properties of PHY906, a Chinese herbal medicine formula. Dr. Cheng and his laboratory team have discovered that cancer treatment with PH906, combined with chemotherapy, alleviates the unpleasant gastrointestinal side effects of chemotherapy for colon and rectal cancer patients. Moreover, their research demonstrated that PHY906 also has its own, solo anti-tumor attributes. If there is continued success in clinical trials, PHY906 could become one of the first FDA-approved oral herbal medicines for anti-cancer treatment. The c-Myc gene is a cancer-causing gene (or oncogene) that is amplified in colorectal cancer and is a tough molecule in terms of finding targets for drug development. 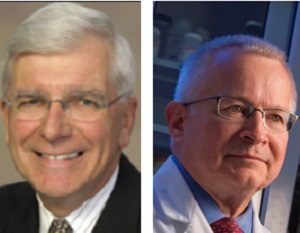 NFCR-sponsored scientists Dr. Daniel Von Hoff and Dr. Laurence Hurley are creating drugs to block large clusters of DNA called “super enhancers,” which control the expression of a network of genes – including the c-Myc gene, which has been unresponsive to nearly all drug treatments.